Nice gun sir.Please enjoy it.I have looked at them also.Might get one if they are as nice as yours. Wow, their www has got some funny ideas about guns. They list a 1903 Springfield but show only 1903A3 and A4. They call a Marlin machine gun a Colt/Browning "potato digger." Received my Colt 1903 today and am very happy with it. It is beautifully finished. The only reservation that I have with it is the method with which it was polished. Many years from now it will be impossible to tell that this has the original bluing on this pistol. 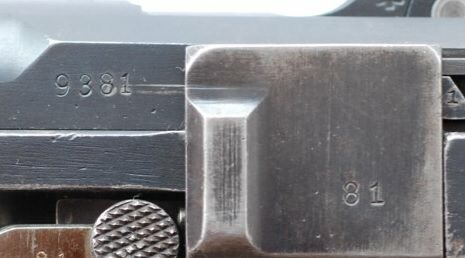 There is no "ghosting" around the stampings/markings on this pistol. It appears as would a nicely refinished restoration. That is too bad. I guess that some documenting pictures must be made to show this original finish. And then the pictures must stay with the pistol for 50+ years. Looking at the photos, I’m guessing that the slide latch also serves as the safety lever. Correct? Yep, the slide latch does serve as the safety lever. This is the first 1903 hammerless that I have owned and it took me a while to puzzle how to field disassemble it. After I figured that out, following the instruction manual, all was well. I cleaned it and lubricated it and put a coat of Renaissance Wax on it. I also has a grip safety. what do you mean? Its too nice? Also...did you buy from the seller in that pic? They have more available and I'm just wondering if the price is the price, or if a better deal than MSRP can be had. I was a collector of Lugers for several decades. My area of interest was 1900 model American Eagles in pristine condition which would include an original blued finish. You can tell quite a lot about a firearm by the finish. 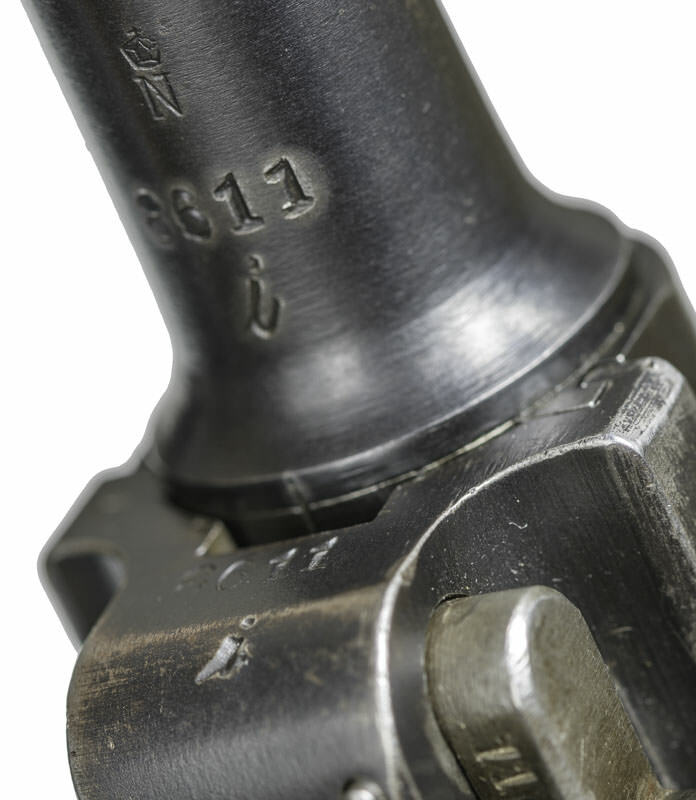 If a handgun has been refinished or restored the markings and serial numbers will not have the "halo" or "ghost" around the stamping as with the original finish. A collector will easily identify a refinished firearm. 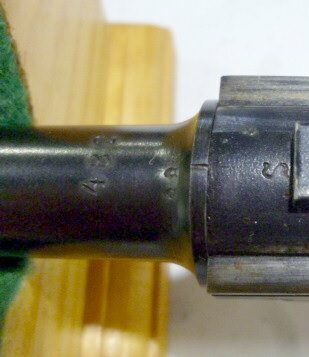 Another indicator of the refinished gun is the amount of patina which shows whenever a light source of held at an angle to the finished surface which will show a very fine "dusting" of red (oxidation) on an original blued finish. Being a nice finish has nothing to do with identifying an original blued finish. My concern is with the technique of polishing this pistol, not the quality of the result. Yes I purchased this pistol from that dealer on Gunbroker.com. It is started in the auction at $1399 with a Buy Now of $1499. I purchased my pistol at $1399, as there were no other bidders on this pistol. I do not know if the seller will enter into a private treaty on the sale of one of these pistols. My opinion is that she probably would entertain an offer. If you try to bargain with her, I doubt that she would have you arrested or rubbed out. I do believe it was a 1903 in .32 that Claus Helberg used in what I will say is the most amazing duel in history. Colt/Browning 1903's were commonly issued to Norwegian commandos and I've been told by a Norwegian friend that some are still floating around Norway. These are wonderful pistols. The new ones look like beauties and it is great to see them in production, although the price on them is prohibitive. I have a Colt 1903 .32 ACP that was inherited from the wife's grandfather, who carried it in his pocket while he was a traveling salesman in Georgia in the 1920's. The .32 ACP round is not powerful but must have been more effective back when people were smaller and weighed less than they do today. Over 700,000 of these were made in .32 ACP and .380 (plus there was a "vest pocket" version in .25 corrected - the Vest Pocket is a different design - see post, below). The Colt 1903/1908 models were extremely popular as self-defense guns for everyman, from banker to traveling salesman to gangster. They were sold as safe and intuitive to use. This reboot is sweet looking, I admit. But calling it a Colt and wearing the rollmark? Disingenuous at best, especially given the price of admission and the fact that in-house Colt isn't exactly swamped with work tying up whatever meager resources they still have left in the two years since they re-emerged from bankruptcy. 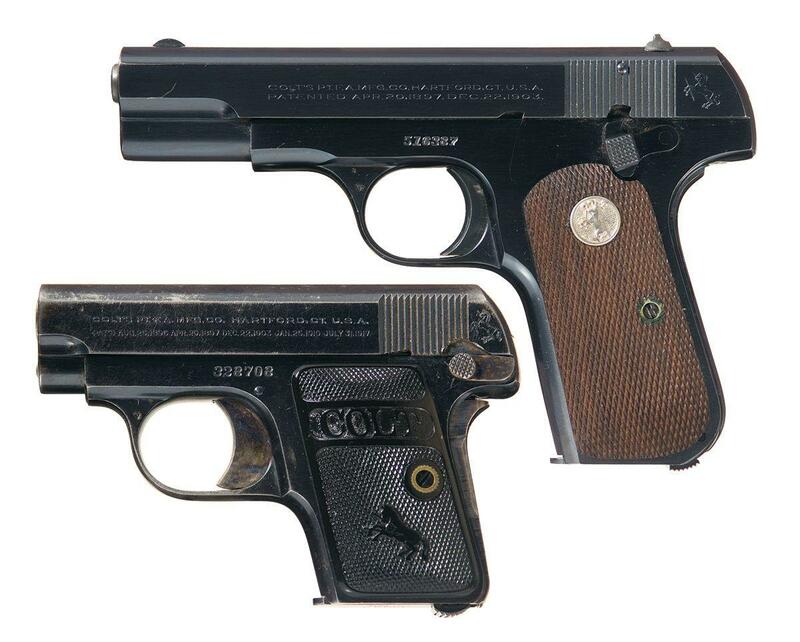 Over 700,000 of these were made in .32 ACP and .380 (plus there was a "vest pocket" version in .25). While they share many similarities, both being Browning designs from the same era, the 1908 Vest Pocket Hammerless is a separate design. The 1903 Pocket Hammerless has an internal hammer, while the 1908 Vest Pocket Hammerless is striker-fired. What a clean looking beautiful pistol. Congrats! A very recent issue of American Rifleman Magazine has a write up of the newly manufactured one in their Dopebag section. They gave it a good review even though they did not mention how it functioned.